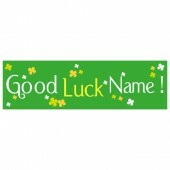 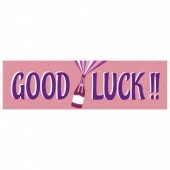 Add a personal touch to any leaving party with our range of pre-designed good luck banners. 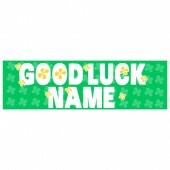 Ideal for sending someone off on their travels, wish good luck for exams or for a retirement. 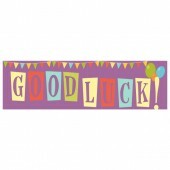 Send your friends or loved ones off in style with a full colour good luck banner printed in-house available in 8'x2' or 10'x3'. 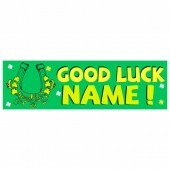 You should receive your good luck banner 2-5 days after your order has been placed.